Chiropractic care focuses on treating disorders of the musculoskeletal system and the nervous system. These disorders affect the general health of a person, with pain being most felt in the back, neck, joints of the arms or legs and headaches. Patients have seen significant back pain relief after only one treatment, though typically, a treatment plan is drawn up that best suits the symptoms and the specific issues of a patient. 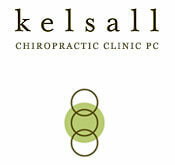 Dr. Karen Kelsall has been practicing the healing art and science of chiropractic to help her patients since 1997. She has used the techniques listed above to address and alleviate all forms of back pain, as well as the treatment of headaches and neck pain, when patients have come to her after other techniques have failed to help them feel better. Contact Kelsall Chiropractic at 503-223-8719 to schedule an appointment for chiropractic care.